A little over a year ago, I received an email through this blog by someone from Fairchild Books about one of the photos from a post I made over four years ago. I had never heard of the publisher but I was curious, so I replied back. 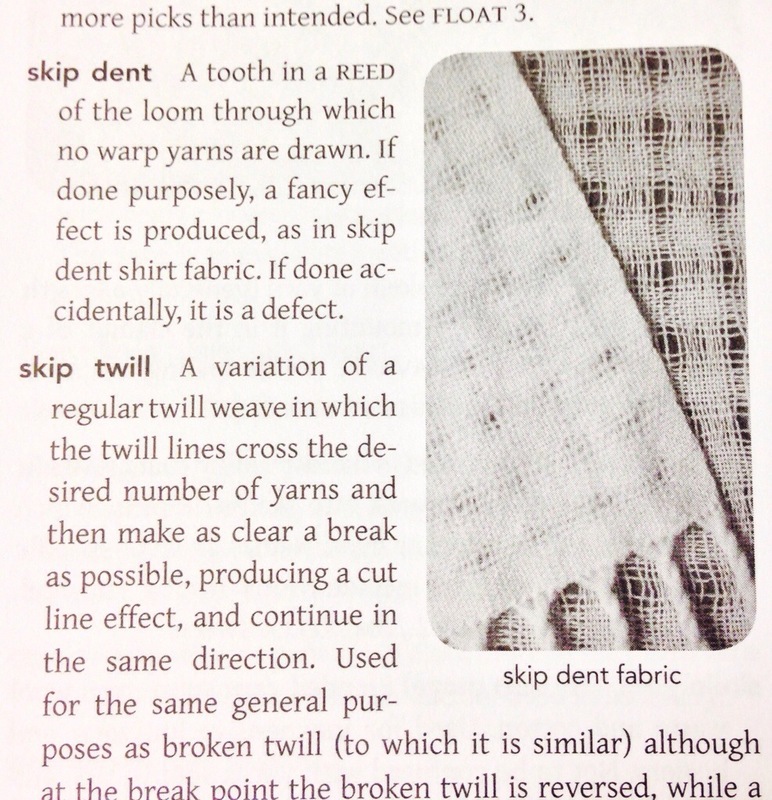 As it turns out, they wanted to used one of my project photos in the 8th edition of The Fairchild Books Dictionary of Textiles. After a quick check with Daryl that this is a legitimate request, I said yes. Why not? I have nothing to lose. After a bit of back and forth, we had a one page contract to use my images. I sent them the original, as high resolution as I had, photos. With a bit of prompting from Daryl, I asked for a copy of the book in return for the use of the images. Fast forward a year…I had forgotten about it. I knew it was to be published sometime late summer/early fall of 2013. A few weeks ago, I checked on Amazon and yes! 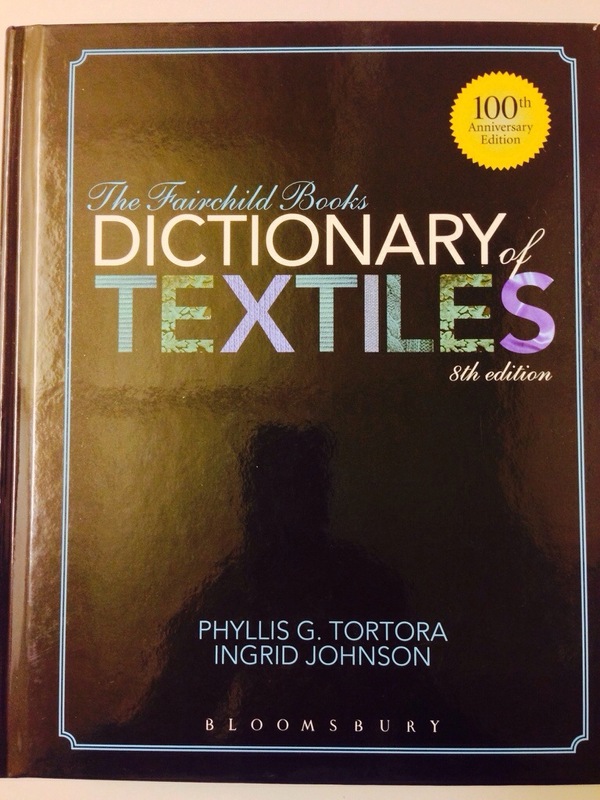 the book was published! I sent a quick email to the person who contacted me. She had already moved on but her manager put a copy of the book out to me that very same day. Last night, I came home after dark and almost tripped over the package on my way to the front door. I didn’t remember ordering any books recently that hadn’t already been delivered. I was at a loss as to what it was. I opened the package and there is was. My comp copy of Fairchild. 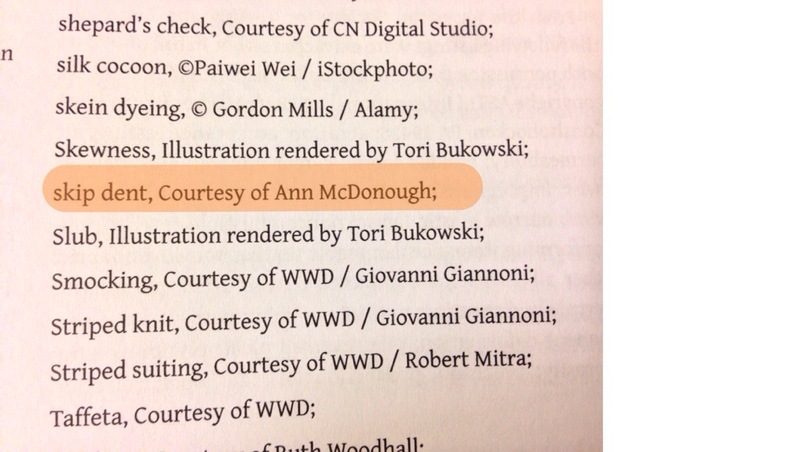 I quickly flipped through, and sure enough, there was my name in the credits section and the photo on page 568. Yes, I’m tickled pink — even if it is an esoteric tome that very few people have ever heard of.